"I long for a worthy opponent!" Details on Fiora's upcoming champion update, including an updated kit and visuals, have been published! "Compared to a few of our recent updates, we launched Fiora pretty darn recently. Still, she’s one of them tricksy melee marksmen/fighter types who was supposed to be a fleet-footed fencing duelist, but who, once she had a few items, could just lunge up to the other team’s squishies and smack ‘em for a quick and easy - and unstoppable - kill. That was her single gear, really, and because Fiora was only good at killing, when she didn't have the damage to do her single job, she couldn’t do much of anything. Fiora identifies the weak spots - or vitals - in the defenses of all enemy champions she comes close to. If she manages to attack her enemy’s weak spot, Fiora deals extra true damage for that attack while gaining a small heal and short boost of speed. Fiora reveals a new weak spot whenever she attacks one, or when a moderate period of time passes without it being attacked. Fiora lunges in a target direction before striking a nearby enemy, dealing damage and applying on-hit effects. Lunge prioritizes enemy champions, and tries to hit enemy weak spots. Finally, some of Lunge’s cooldown is refreshed when the ability strikes an enemy. Fiora enters a defensive stance, parrying all damage and hard crowd control abilities for a fraction of a second. After she’s done parrying, Fiora attacks in a target direction, damaging and briefly slowing the first enemy champion she strikes. If she parries any hard crowd control abilities, Riposte stuns instead of slows. 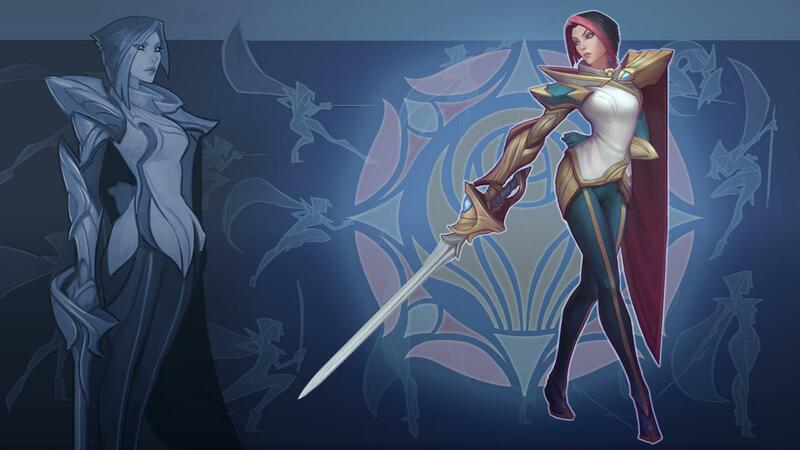 Fiora gains increased attack speed on her next two basic attacks. The first cannot crit but slows her target, while the second is guaranteed to crit. Fiora targets an enemy champion, gaining speed and full knowledge of their vitals. Each time she destroys a weak spot, she deals percent max health true damage. If she’s able to destroy all four weak spots, or if she destroys at least one before her target dies, Fiora creates a large and long-lasting zone under her enemy that heals Fiora and her allied champions. 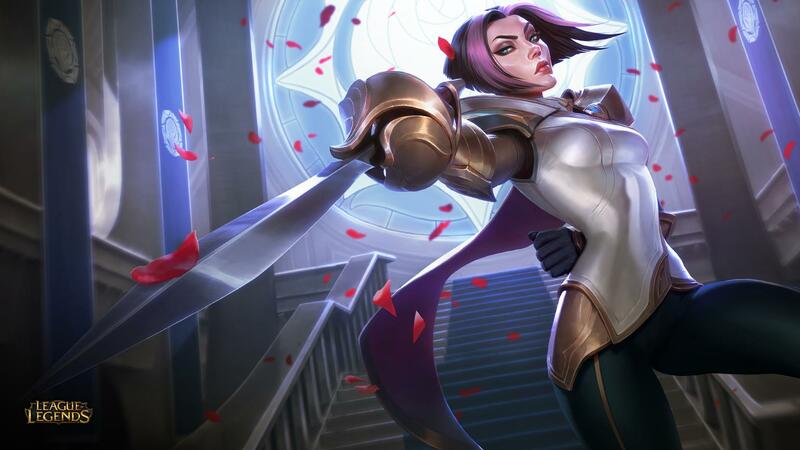 With the update, Fiora’s trading raw damage for extra survivability and utility, making her more of a skirmishing duelist and less of an assassin. We switched her passive entirely, bringing her a new “attack the weak spot” minigame that requires smart planning, position, and execution. But hitting an enemy where they don’t want to be hit is hard, so we gave Lunge the free aiming Fiora needs to dart around without just getting to her enemy. Now she can lunge through targets (or to the side of one) all so she can then attack the enemy’s weak spot, deal a chunk of extra damage, and retreat safely with her small speed boost. Next up is her W. The old Riposte was exceptionally binary - if your opponent has a basic attack, hit W, if not, don’t - and featured a ton of invisible passively gained pain. New Fiora loses the passive entirely, and gains a whole load of extra defensive options. Even though it doesn’t last long, Riposte negates all incoming damage, meaning Fiora players with catlike reflexes can nullify huge amounts of burst from approaching assassins, or executes from other fighters like Darius and Garen. Riposte’s attack makes for a smart follow up, giving Fiora the chance to close range and attack more weak spots, particularly if she parried enemy crowd control. Bladework mirrors Fiora’s old E, but again helps the Grand Duelist maneuver into positions where she can attack her enemy’s weaknesses. Last but not least, let’s talk about her ultimate! Blade Waltz was a hugely impactful ability that dealt a crap load of damage, and while it showcased Fiora’s fantasy of a nimble-footed sword-wielding killer, all you had to do to pull the move off was headbutt your R key. In other words, the mechanics didn't match the fantasy of a skill-based and nimble duelist. Grand Challenge is obviously totally different, and is designed to give Fiora players - and her target - this genuine sense of a real time duel, with Fiora moving around looking to destroy the four weak spots, and her opponent looking to defend them. The rewards, if she pulls them off, are impressive. Aside from the increasing amounts of true damage she deals, the heal will often give Fiora and her team the sustain they need to overpower their enemies and win the fight. The TL;DR of the changes is that we wanted to better execute on the fantasy of a duelist, someone who wins through smarts and mechanical ability rather than brute numbers. Old Fiora had some aspects of that, but ultimately her best play pattern involved double lunging until she was face-to-face with a horrified enemy squishy, then hitting the R key. Riposte and Burst of Speed both had someelements of dueling that we liked, but again… we just wanted to do it better. That’s why we’ve echoed - rather than replaced - most of her old abilities with her new moves. We’re excited to see what you guys think of the new Grand Duelist! Check her out on PBE now and let us know your thoughts. We’ll back in a couple of weeks for her release!